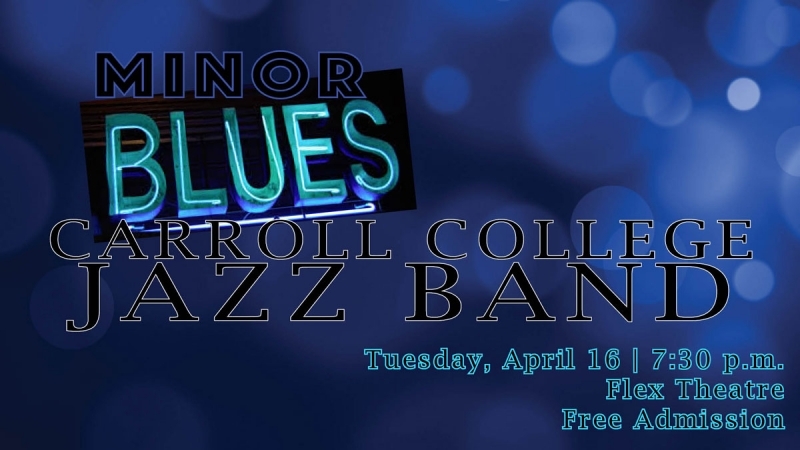 The Carroll College Jazz Band will present their Spring Concert, “Minor Blues,” on Tuesday, April 16, 2019, at 7:30 p.m. in the Flex Theatre. Ten students will perform tunes by Duke Ellington, Dizzy Gillespie, Duke Jordan, Oliver Nelson, Bobby Timmons, and more. Two blues tunes composed by a band member will also be featured. This event is free and open to the public. Call (406) 447-4303 for more information.